250 pages | 17 B/W Illus. A favorable reputation is an asset of importance that no public sector entity can afford to neglect because it gives power, autonomy, and access to critical resources. However, reputations must be built, maintained, and protected. As a result, public sector organizations in most OECD countries have increased their capacity for managing reputation. 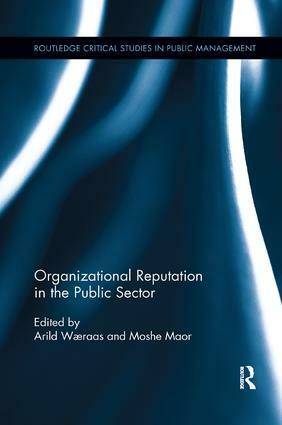 This edited volume seeks to describe, explain, and critically analyze the significance of organizational reputation and reputation management activities in the public sector. This book provides a comprehensive first look at how reputation management and branding efforts in public organizations play out, focusing on public agencies as formal organizations with their own hierarchies, identities, and cultures – existing in a network of other public organizations with similar or different functions, power, and reputation. From this unique organizational perspective, the chapters in this volume examine issues such as organizational identity, power, conflict, politics, culture, and symbolism within the public sector. Paying specific attention to strategies and processes, and illustrating with examples from the countries of Belgium, Denmark, Norway, Ireland, Israel, Italy, and Sweden, the book deepens our understanding of reputation management efforts at various levels of government. Arild Wæraas is Professor of Organization Theory and Leadership at the Norwegian University of Life Sciences, Norway. His research interests are reputation, organizational identity, and organizational fields. His latest publications include "Being all things to all customers: Building reputation in an institutionalized field" (co-authored, British Journal of Management) and "Trapped in conformity? Translating reputation management into practice" (co-authored, Scandinavian Journal of Management). Moshe Maor is Professor of Political Science at the Hebrew University of Jerusalem, Israel, and the holder of the Wolfson Family Chair of Public Administration. His areas of expertise are bureaucratic politics, public policy, and comparative politics. His latest publications include "Organizational Reputation, Regulatory Talk and Strategic Silence" (co-authored; J-PART), "Organizational Reputation, the Content of Public Allegations and Regulatory Communication" (co-authored, J-PART). Maor is also a member of the Council for Higher Education in Israel.